It was held on the 5th of January in a conference hall of the Hampton by Hilton hotel. European clubs were represented by coaches from the UK’s Everton, John Myles and Scott Phelan together with Belgian instructors from Brugge, Tomas Vlamink and Christophe de Holf. 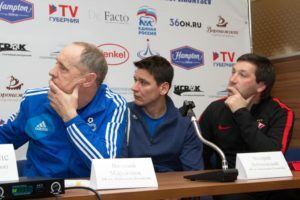 A trainer from Spartak Football Academy, Dmitry Ratnikov and coaches from Konoplev Football Academy (Togliatti, Russia) Vitaly Maryankov and Valery Lobanovskiy shared their experience of Russian football schools. 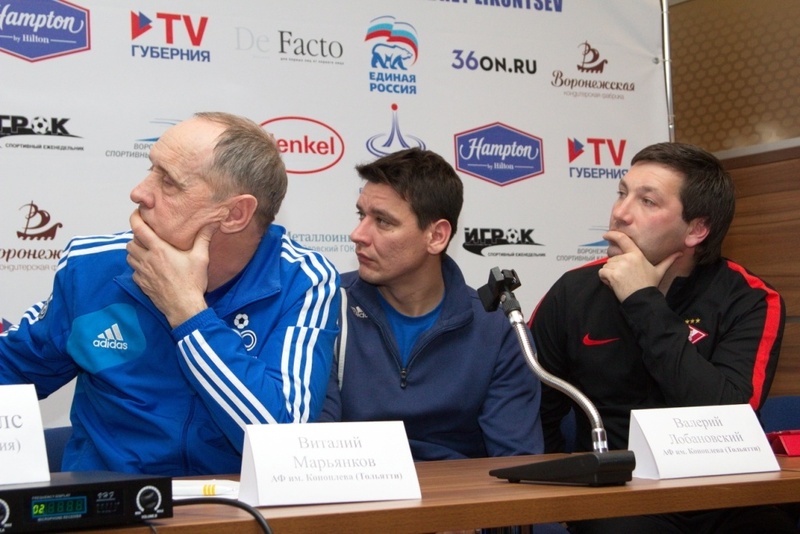 Voronezh was represented by the instructor of Fakel football school, Vadim Ektov. 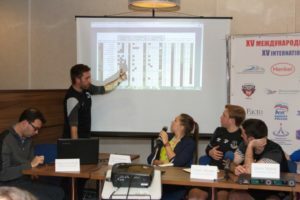 The football experts had the opportunity to exchange their experience on the training of young players, to know about special aspects of the training process, its organization, cooperation between professional clubs and football schools in Belgium, the United Kingdom and Russia.